AMD dangled a carrot in the form of the Radeon RX 480 at Computex a few weeks back. At the second annual PC Gaming Show at E3 2016 earlier today, it gave anxious enthusiasts a bit more to nibble on – although probably not what you’re expecting. 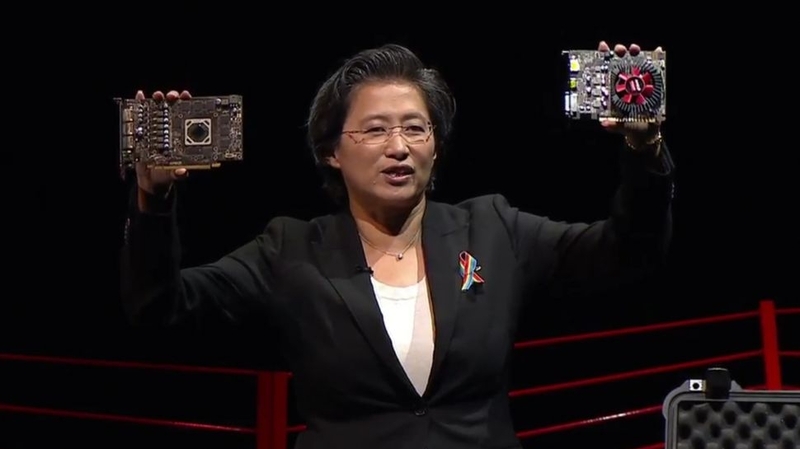 Rather than detail AMD’s efforts to combat Nvidia at the high end of the market, CEO Lisa Su steered the narrative in the opposite direction with the unveiling of the Polaris-based Radeon RX 470 and 460. Given the naming convention, we of course know that these will be more mainstream-based offerings but aside from that, AMD didn’t say much. The Radeon RX 470 is said to be aimed at the average PC gamer that wants to play at 1080p resolution at 60 frames per second without incident. Su noted that this card offers 2.8 times as much performance per watt as the previous generation card. The RX 460, meanwhile, was described as a cool and efficient solution for the ultimate eSports gaming experience – likely meaning they’ll target MOBA players whose games aren’t all that graphically demanding. As AnandTech notes, these cards will likely replace the R7 370 and R7 360 which debuted at $149 and $109, respectively. Unfortunately, AMD didn’t reveal any pricing, launch dates or performance figures on the new cards. But hey, at least we do know they exist.